American multinational computer technology corporation Oracle Corporation is set to shape the banking sector in Ethiopia following a vital technological upgrade. 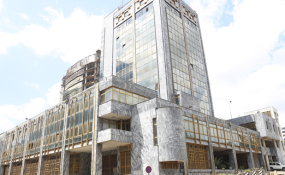 The computer software company recently improved the servers of Bunna International Bank, a financial institution based in the capital of Ethiopia, for effective operation in serving its customers. Bunna Bank came into the limelight in the year 2009 following favourable business environment and ease of doing business in one of the fastest growing economies in the world. The private company's introduction into the banking sector has improved the economic performance of the country with the vast array of services it offers. Other than making better its services, the bank bettered its card-banking switches which were handled by Moroccan company M2M. Also to the touch up to spur competition, the bank added three new services that have proven to be vital in the growing market and to be relevant in the times. The firm added mobile, internet and agent banking in its $3 million investment and enhancement plan. An Indian company, Software & Telecommunications Ltd is handling the triad of services. The emphasis on the use of modern technology has opened up fresh business ideas for potential investors to partner with Ethiopian businesses. The opportunities continue to add the inflows of foreign direct investment in the country that has benefitted from such in the meteoric rise of the nation's economic performance. It as well strengthens economic cooperations between Ethiopia and the respective investing countries, helping their trading relations as well. The new development offers the bank a cutting edge over fellow competitors and a chance to spread its influence across the country. The bank's plan with the customisation is to open new branches and install more ATMs to serve the market demand for financial services. It will, in turn, create employment opportunities for the citizens to improve the state's productivity, increase competition and build a stellar economy.